The supercar-maker's first all-electric model is set for production in 2019 with a limited run of 155 cars. 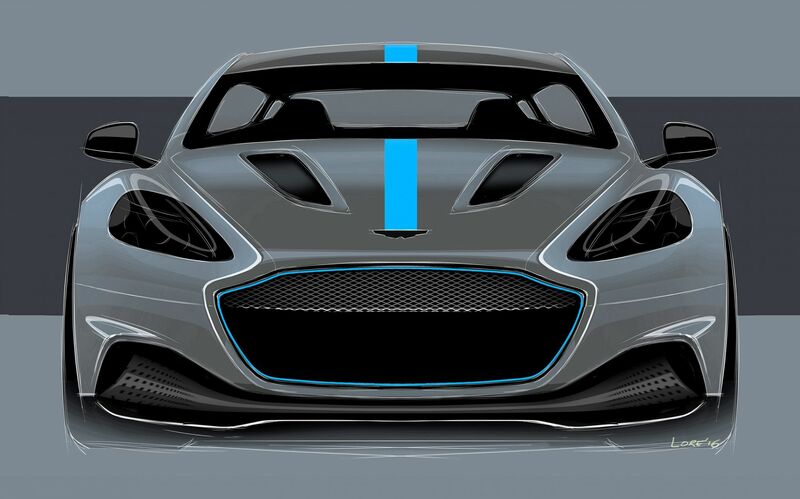 After unveiling plans for an electronic car back in 2015, luxury sports car manufacturer Aston Martin has confirmed the production of its first all-electric supercar RapidE in 2019. The exclusive vehicle will be on a limited production run of 155 cars, and priced above its V12 Rapide. Originally targeted to begin production in 2018, this announcement comes after the departure of investment partner LeEco, who have backed out from the project due to financial troubles. As a result, Aston Martin will operate and fund the project independently hereon. The British supercar-maker has confirmed that Williams Advanced Engineering—the tech division of the Williams Formula 1 team—will take on the role of lead engineering partner, which was involved in the original RapidE prototype in 2015. It is also responsible for the design and assembly of battery systems for competing cars in the FIA Formula E Championship. The RapidE will be based off the four-door aesthetics and dynamics of Rapide S, powered by an all-electric powertrain to replace the six-litre V12 engine. This will spearhead Aston Martin’s low and zero-emission vehicle strategy, as part of the company’s Second Century Plan.